On April 20, 2010, an explosion on the Deepwater Horizon MC252 drilling platform killed 11 workers and caused the rig to sink and leak oil into the Gulf of Mexico. The magnitude of this spill is something our nation had not seen before, causing significant impacts to wildlife and the fishing community along the large coastal areas of Louisiana, Mississippi, Texas, Alabama, and Florida. The Oil Pollution Act authorizes certain federal agencies, states, and Indian tribes—collectively known as natural resource trustees—to evaluate the impacts of the Deepwater Horizon (DWH) oil spill on natural resources. These trustees are responsible for studying the effects of the spill through a process known as Natural Resource Damage Assessment (NRDA). As part of this process, scientists work together to identify potential injuries to natural resources and lost recreational uses, such as boating and beachcombing, resulting from the spill. DIVER serves as the public NOAA repository for data related to the DWH Trustees' NRDA efforts. To provide additional context to the NRDA data, the site also includes historical (pre-2010) contaminant chemistry data for the onshore area of the Gulf of Mexico, as well as contaminant chemistry data collected during the response efforts and by the responsible party, British Petroleum (BP). These data are available to the general public and are accessed through a query and mapping interface called DIVER Explorer. Sample results of laboratory analysis on tissue, sediment, oil, and water. DWH restoration projects and monitoring data will also be incorporated into DIVER as information becomes available. View data onscreen or download it in a variety of formats. Please visit the help materials to learn how to use DIVER Explorer. For more detailed information on how the data are organized, managed, and standardized, please visit the data overview page. The Trustees prepared Work Plans to study potential injuries to different natural resources across the Gulf. Each plan laid out the purpose of the study and how the Trustees would achieve their assessment goals. Study designs reflected input from experienced scientists and resource managers who specialize in studying oil spills and natural resources in the Gulf. Most data collected under these Work Plans are available in DIVER and ERMA, or through the National Centers for Environmental Information archives. As part of the injury assessment, the Trustees undertook a toxicity testing program covering more than 40 species of fish, aquatic invertebrates, phytoplankton, reptiles, and birds. The program tested effects on those coastal and marine creatures from dispersants and DWH oil from the well or the field, including both floating slick oil and oiled sediments collected at different times post-spill. A full review of the program is available as a technical report (Morris et al. 2015). The results of these studies are available to the public. In addition to data available through DIVER Explorer, NOAA compiled DWH-related data packages and links to external data sources. These data packages and links cover a wide variety of topics, including raw data from recreational use surveys, links to marine mammal and sea turtle data sources, and instrument data from research cruises. NOAA's Office of Response and Restoration compiled links to relevant data sources and references regarding the response, assessment, and restoration phases. Data sources include records of the spill trajectories, archive locations for plankton and marine mammal tissue samples, and extensive NOAA photo collections. The site includes a compilation of literature documenting the environmental impacts of the Deepwater Horizon Spill. Gulf Spill Restoration is a website maintained by NOAA on behalf of the Deepwater Horizon Natural Resource Damage Assessmnt Trustees. The site provides updates on the Trustees assessment and restoration activities. The Trustees are now in the process of implementing the programmatic restoration plan. The plan will set the course of restoration for the next 15 plus years—with room for flexibility as our scientific knowledge and the circumstances of the Gulf change. The website provides regular updates on these efforts. ERMA® Deepwater Gulf Response and Restoration, developed by NOAA and the University of New Hampshire, is an online mapping tool integrating key environmental response information for decision makers. ERMA played a critical role in the response to the Deepwater Horizon/BP oil spill and remains an active resource during the NRDA and Restoration processes. Mapping and visualization layers include oiling observations from shoreline cleanup assessment teams, overflight trajectories and photos, and locations of oiled birds and stranded marine mammals or turtles. NOAA's National Centers for Environmental Information (NCEI) hosts and provides access to one of the most significant archives on earth, with comprehensive oceanic, atmospheric, and geophysical data. 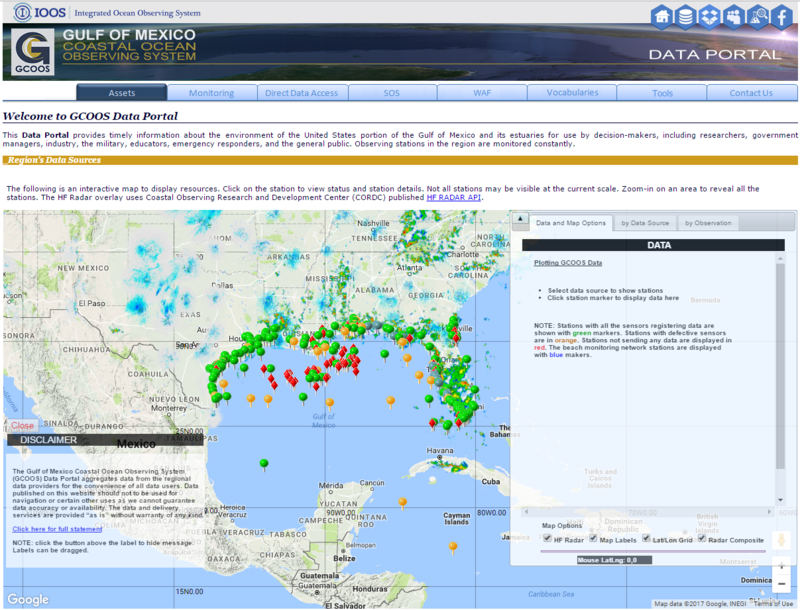 NCEI provides access to archived Deepwater Horizon related data, a response data atlas, Gulf of Mexico regional products, fisheries information, a selected oil spill bibliography, and other special collections. 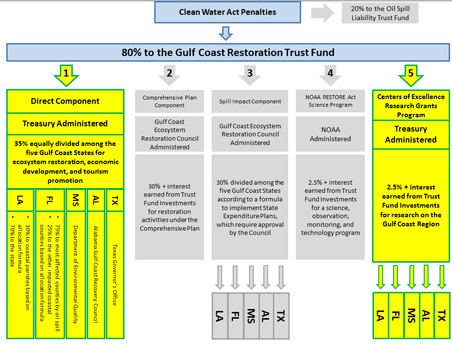 The Restore Act (Resources and Ecosystems Sustainability, Tourist Opportunities, and Revived Economies of the Gulf Coast States Act) established the Gulf Coast Restoration Trust Fund in the U.S. Treasury Department. Under the Act, amounts in the Trust Fund are available for programs, projects, and activities that restore and protect the environment and economy of the Gulf Coast region. The Restore Act website provides a detailed accounting of Trust Fund allocations and other useful information. The Gulf of Mexico Alliance (GOMA) aims to significantly increase regional collaboration to enhance the environmental and economic health of the Gulf of Mexico. Led by the five Gulf States, the broad partner network includes federal agencies, academic organizations, businesses, and other non-profits in the region. 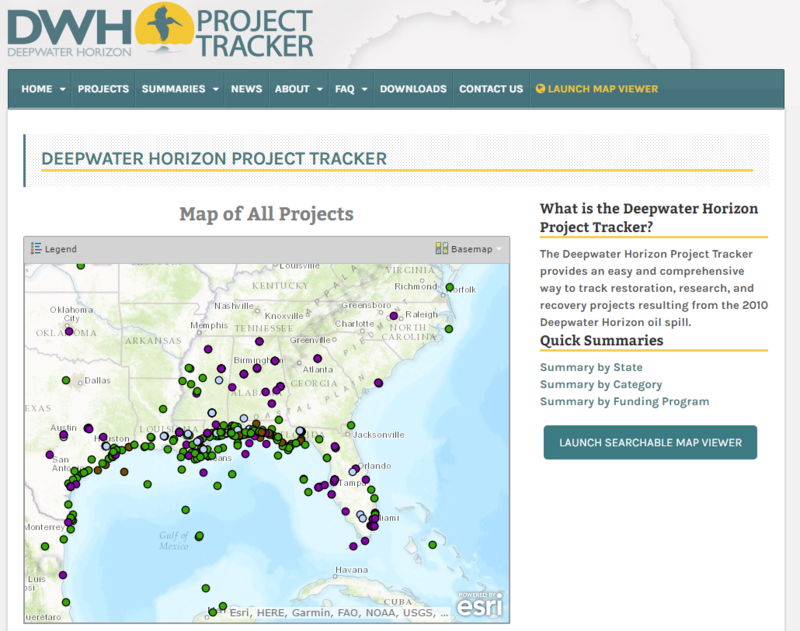 GOMA's Deepwater Horizon Project Tracker provides an easy and comprehensive way to track restoration, research, and recovery projects resulting from the 2010 Deepwater Horizon oil spill. 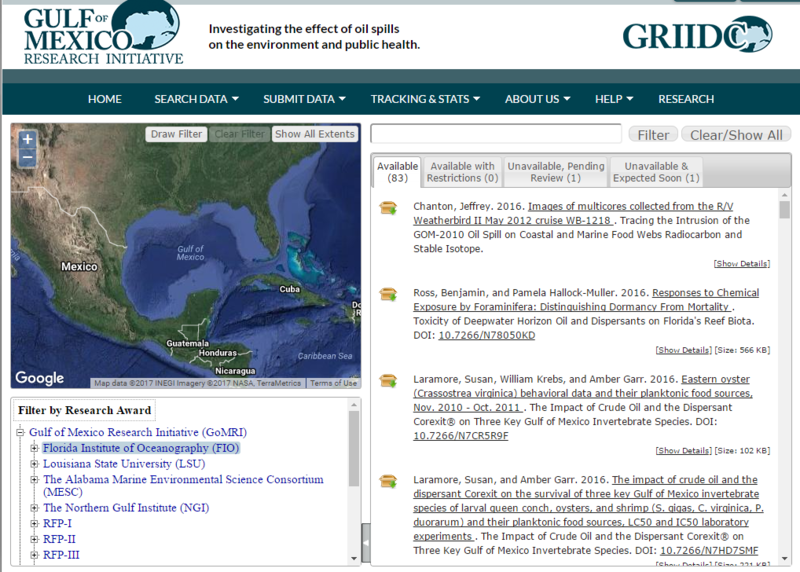 Gulf of Mexico Research Initiative Information and Data Cooperactive (GRIIDC) stores the scientific data generated by Gulf of Mexico researchers. The Master Research Agreement between BP and the Gulf of Mexico Alliance that established the Gulf of Mexico Research Initiative (GoMRI) included provisions that all data collected or generated through the agreement must be made available to the public. The Gulf of Mexico Research Initiative Information and Data Cooperative (GRIIDC) is the vehicle through which GoMRI is fulfilling this requirement. Gulf of Mexico Coastal Ocean Observing System (GCOOS) provides timely information about the environment of the United States portion of the Gulf of Mexico and its estuaries for use by decision-makers, including researchers, government managers, industry, the military, educators, emergency responders, and the general public.